There’s not much to this project, so today’s post will be short and metallic. To begin with, I crawled under the Jeep with a ruler and a measuring tape to get an idea of how much material I was going to need, only to find out that I had almost all of it already (this was a new experience for me, and I think I rather like it.). 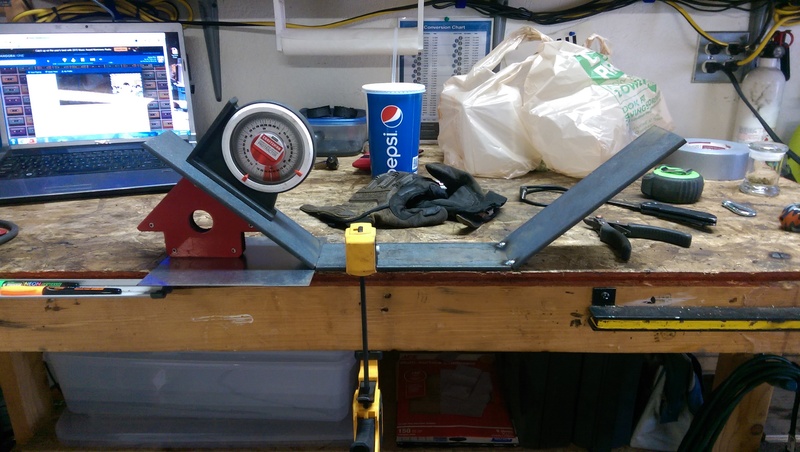 I picked up a few feet of 3″ x 1/4″ flatbar and got to work. 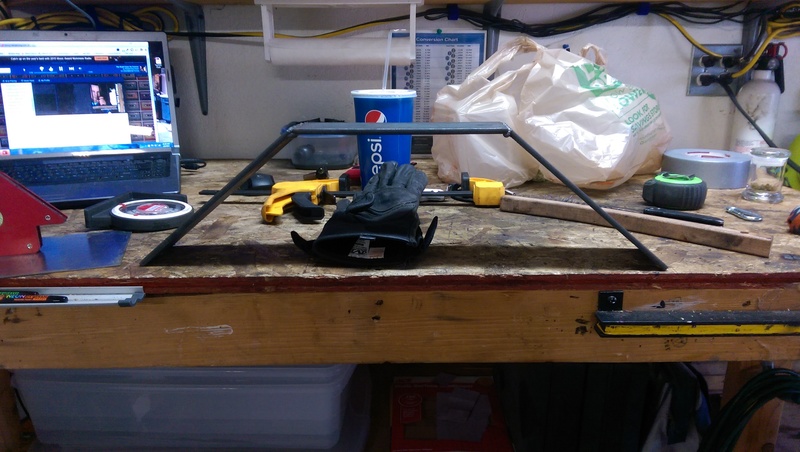 For today’s project, we’ll need 4 pieces of steel to create the backbone of the skidplate. Below you’ll see three 9″ x 3″ pieces, and one 8″ x 4″ piece. 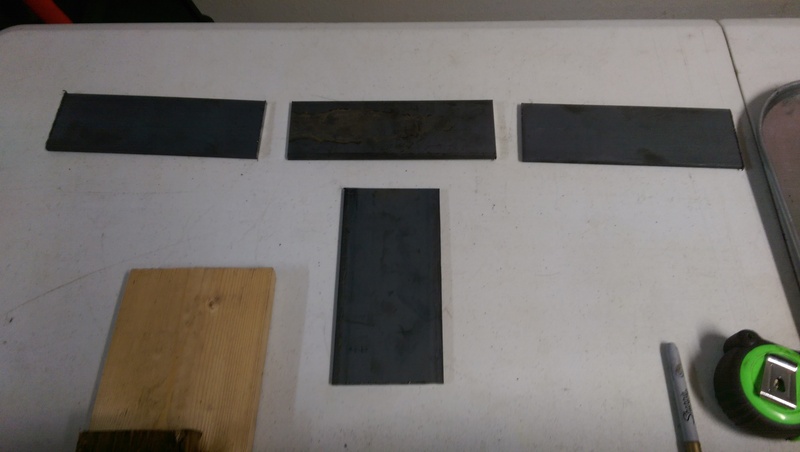 To make my life easy, the 3″ pieces were cut from 3″ flatbar, and the 4″ pieces from 4″ bar. 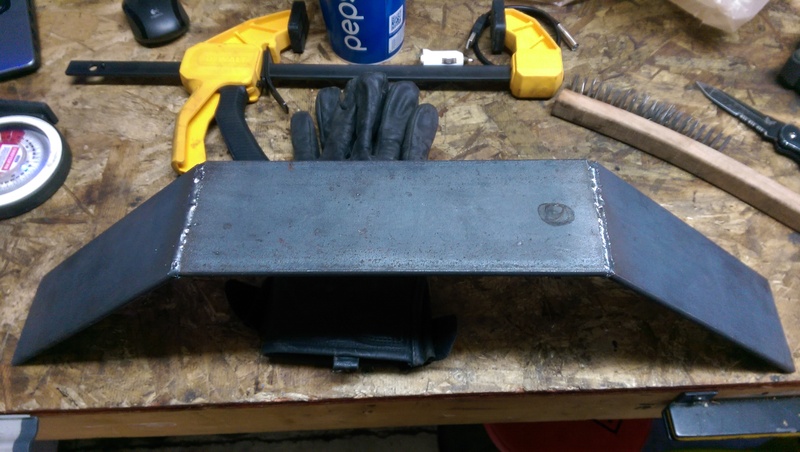 It was literally a few quick cuts with the chop saw, and I was ready to start welding. 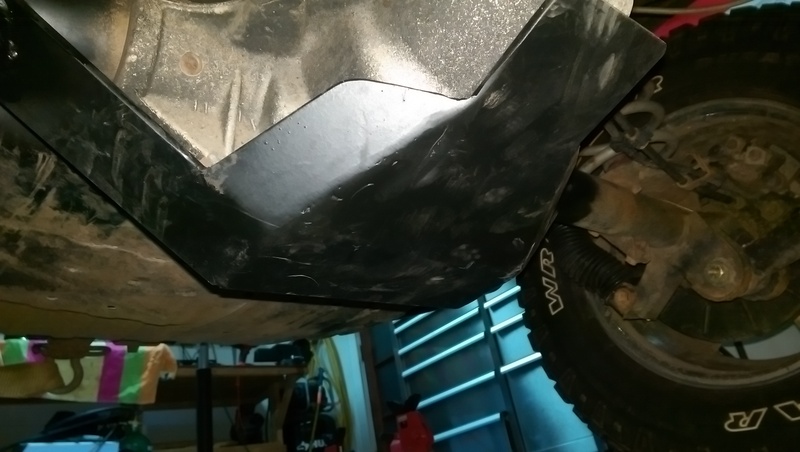 The tricky part of building this skidplate was finding the right angles to connect the bottom plate of the skid to the axle tubes. 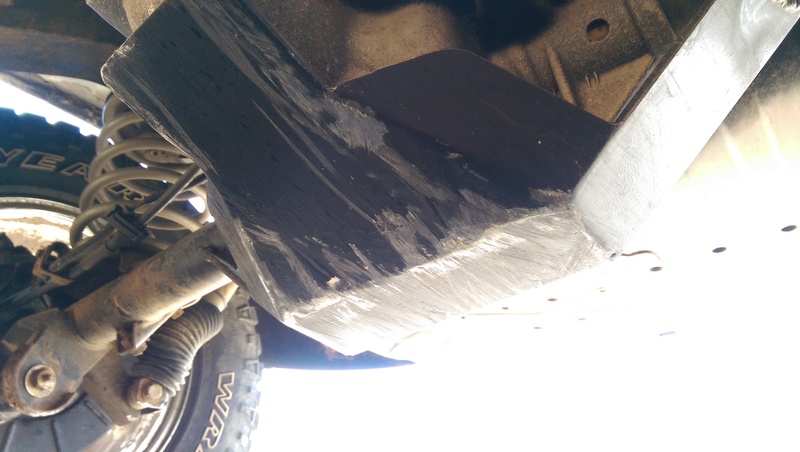 I ended up crawling back under the Jeep with an angle finder and my ruler to find the right angles to weld the plates at. PROTIP: Use a protractor to find the angles on the axle. Don’t be an idiot like me. They’re literally, like, a dollar at the grocery store. At any rate, your humble blacksmythe managed to calculate the proper angles required to make the metal connect correct. I used a grinder to cut out the plate to fit around the axle tube for when I weld it in. The angled pieces are honestly just free-handed. I knew where I wanted them to be, so I marked it and planned on scrapping a couple pieces until I got it right. Turns out I got it on the first try. 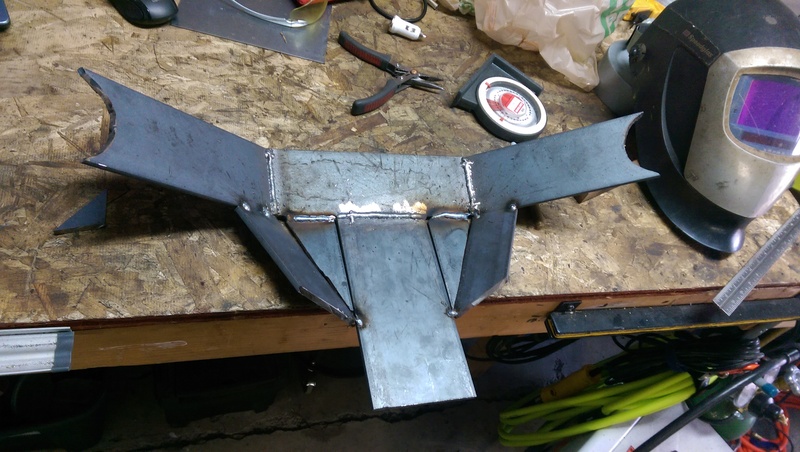 The triangular filler pieces were just cut from scrap, dropped in place, and then welded up. After that, I took the tiger disc and the angle grinder to it and cleaned up all the welds on the bottom side, so that they wouldn’t snag on anything out on the trail. 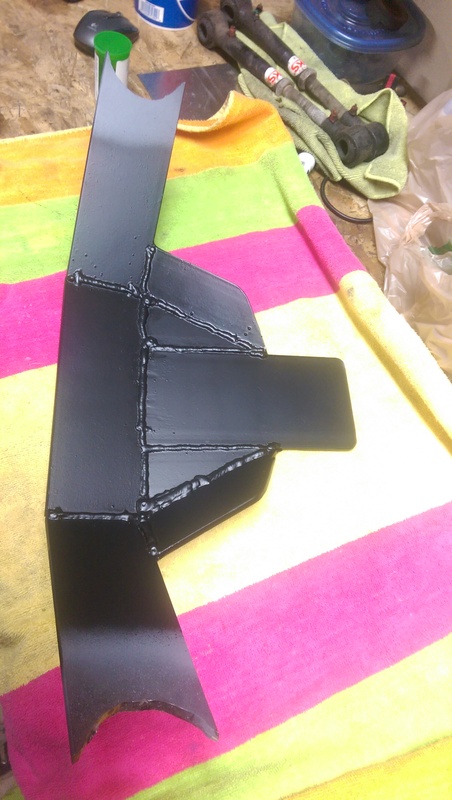 Topside of the skidplate just after paint. 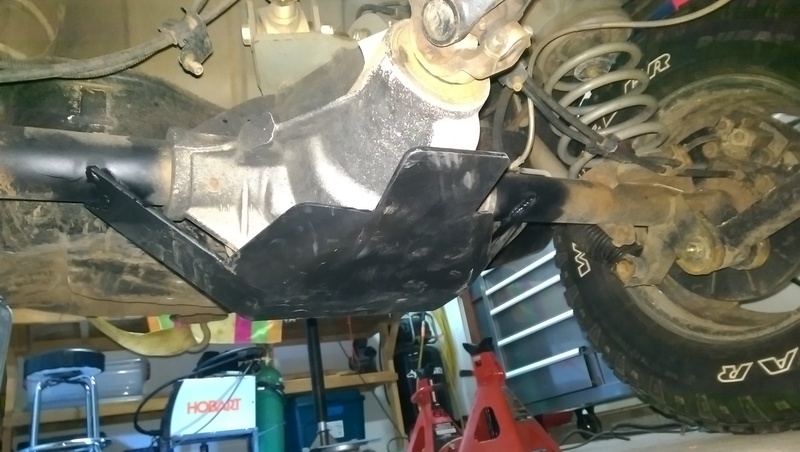 Here’s a shot of the skid plate the day after I made it… I guess it was worth the time I put into it. 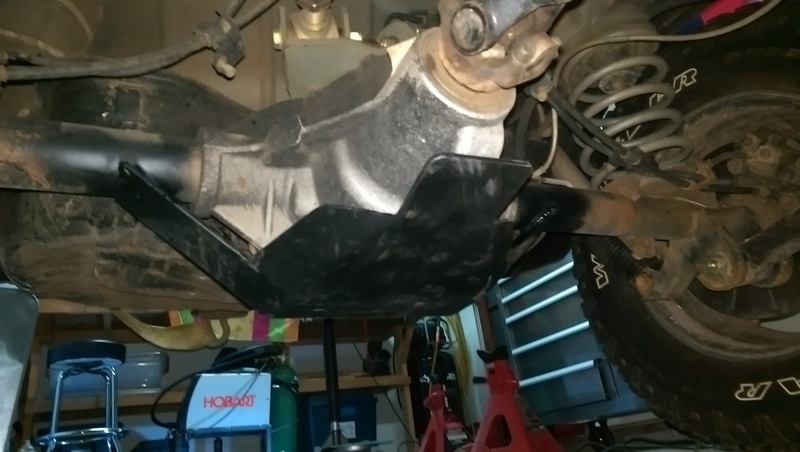 This axle won’t be under this Jeep forever. I already have some plans for what to do next, but until that time, this will be an excellent addition to the Jeep, especially out here in the AZ desert. This neglected little corner of the internet is where I share all the things I love. You’ll see cars and bikes and off-road things. 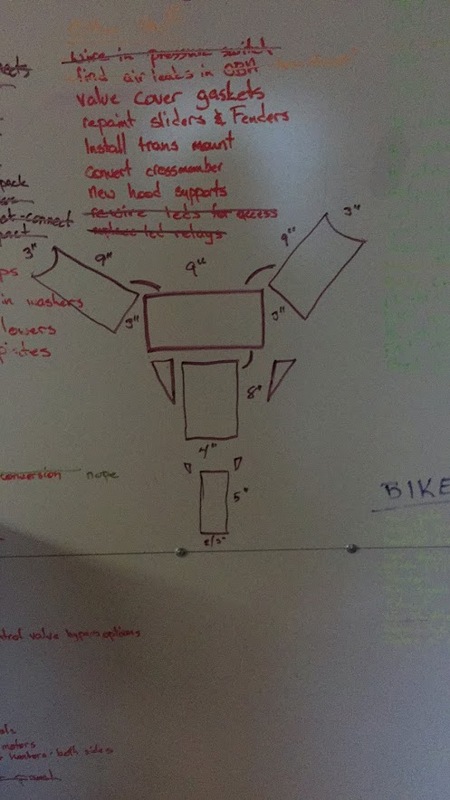 You might see a drum set or guitar, or maybe a nerdy new gadget. No matter what, it’s gonna be a good time until someone gets hurt. Watch me make jokes and break things here.